Two parallel worlds, connected via TV and video links, become a performance space, interface and playground between the audience and performers. RELAY dares you to disguise, transform and question roles, identities and realities, creating a performance unique to the audience on the night. Determined by your choices and engagement with the performers – your willingness to relay. 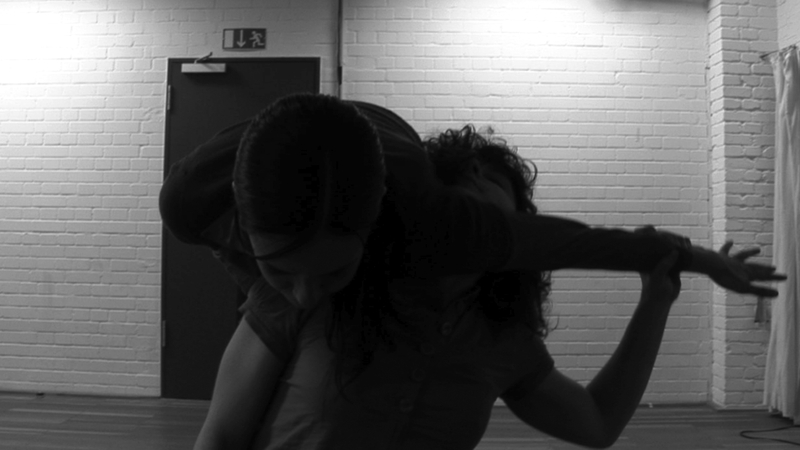 At the core of this dance piece we question the roles of spectator and performer through an exploration of the act of watching. We are interested in the border between observing and taking part, the transition between watching and doing. 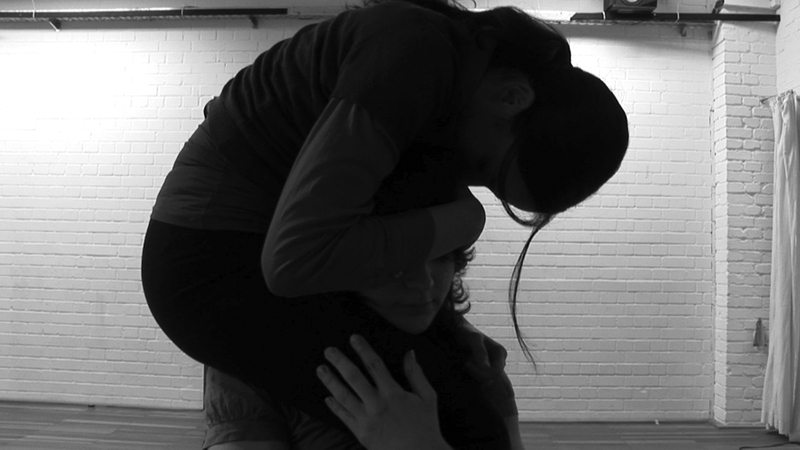 The piece calls for an audience that constantly negotiates their own interest in each moment of the performance. And constantly questions the reality of their perception. 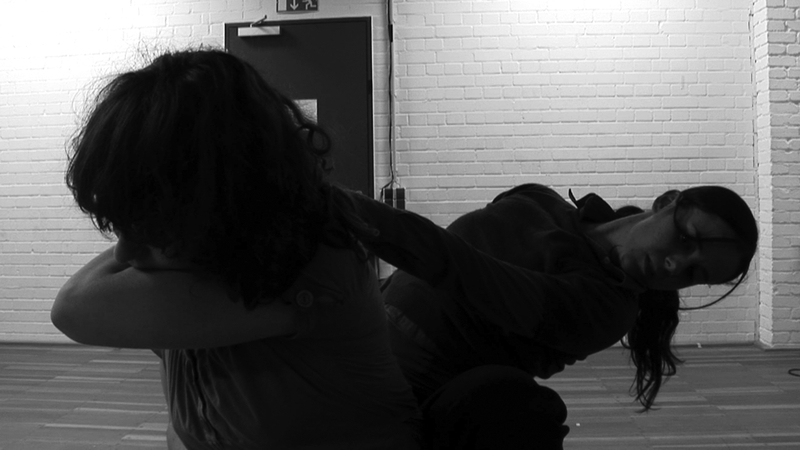 The movement material of the piece is closely connected to themes of intimacy and status/power-games within a small group or two individuals. The use of costumes, masks, wigs and masking tape to retrace pathways of audience and performers is worked into a complex system of individual and group scores for each spectator, adding to a dramaturgy that ultimately alters the performance space through audience choice. The piece is hosted in two small rooms – a performance room and a watching/waiting room. Video cameras in the performance room connect to the watching room via a live video-link. According to the audiences’ choice, the number of audience members in the performance room and the time spent inside varies throughout the piece. ‘Spectatorship is not passivity that has been turned into activity. It is our normal situation. We learn and teach, we act and know as spectators who link what they see with what they have seen and told, done and dreamt. There is no privileged medium, as there is no privileged starting point. Everywhere there are starting points from which we learn something new, if we dismiss, firstly, the presupposition of the distance; secondly, the distribution of the roles; thirdly the borders between the territories. We have not to turn spectators into actors; we have to acknowledge that any spectator already is an actor of his own story and that the actor also is the spectator of the same kind of story.